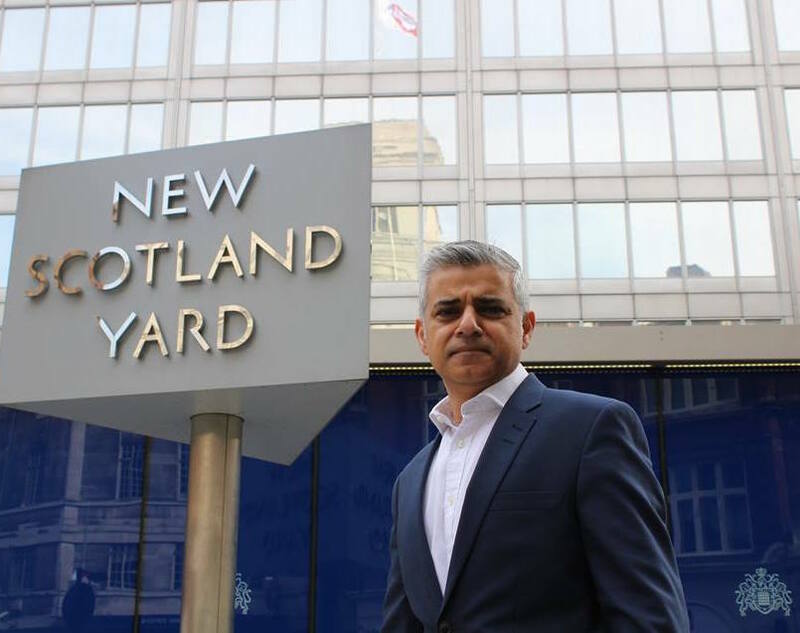 When Jeremy Corbyn won the Labour Party’s leadership last September, party stalwarts in London also voted to choose a candidate to contest London’s mayoral election, one of many regional elections taking place on May 5. Corbyn’s elevation marked the moment when Labour’s rank-and-file members ripped down the curtain on New Labour, ending the party’s two-decade move to the center that kept it in power for three consecutive terms under Tony Blair and Gordon Brown. But it was perhaps the internal contest to lead Labour into London’s mayoral contest that struck the most damning blow. The initial frontrunner, Tessa Jowell, pushed London’s bid for the 2012 Summer Olympics as a minister in the Blair government. When London, in fact, won the Olympics, she became the government’s minister for the Olympics as well. Jowell, a ‘Blairite’ long associated with the centrist incrementalism of New Labour, seemed like the perfect fit for one of the world’s financial capitals. Instead, Labour voters turned to Sadiq Khan, a 45-year-old rising star of Labour’s ‘soft left’ flank. The son of Pakistani immigrants (his mother was a seamstress, his father a bus driver), it’s hard to conceive of a sharper contrast against his opponent, Conservative candidate Zac Goldsmith, the son of a billionaire. Goldsmith’s father, James Goldsmith, won notoriety in the 1990s for his ‘Referendum Party,’ a eurosceptic forerunner of the United Kingdom Independence Party (UKIP). His son, just 41 years old, wasn’t an implausible candidate for London’s Tories. Like Cameron, Goldsmith is a moderate on social issues, and he is a former writer who spent nearly a decade as the editor of The Ecologist. But he has struggled to contest the image of a wealthy plutocrat out of touch with struggles of everyday Londoners. In April, he struggled to answer several ‘pop quiz’ questions in an interview about the city. Moreover, Goldsmith’s campaign has been tainted by what even some Conservative critics have called Islamaphobic scare tactics. Those attacks have made Goldsmith seem not only demagogic but also desperate. 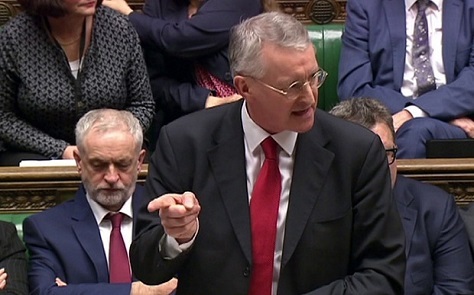 Shadow foreign secretary Hilary Benn passionately supported UK airstrikes against Syria, putting him at odds with Labour leader Jeremy Corbyn. Hilary Benn is not his father’s MP. Standing before the House of Commons Wednesday night, eliciting applause from both the governing Conservative Party and the opposition Labour Party, Benn made the clearest case for the United Kingdom to join US and French airstrikes in Syria. Tonight [Benn] articulately, and passionately and elegantly re-crafted his ploughshares into swords. The diplomatic case. The military case. The strategic case. Calmly and forensically he made the argument the Prime Minister could not make and the Leader of the Opposition could not destroy. A candidacy that struggled to win enough parliamentary nominations to run, and a candidate personally ambivalent about running — unsure he was up to the campaign, let along up to the job. A nomination supported by MPs who thought the far left should have a ‘voice’ in a campaign that, like in the past, would show just how anemic Labour’s far left is — and as weak as it would always be. A surge that everyone, from former prime minister Tony Blair on down, believed would subside as the fevers of summer cooled and Labour’s electorate focused on a leader who might deliver the party to a victory. A frontrunner who, despite a three-decade legacy of statements and positions that might otherwise doom another candidate, somehow swatted aside the taunts of Labour and Conservative enemies alike and, in his quiet, relentlessly focused and humorless manner, kept his attention on policy, not in responding to negative attacks or engendering gauzy feel-good connections via YouTube clips or on the rope line. What you see is what you get. Today, Jeremy Corbyn becomes the duly-elected leader of the Labour Party, and he easily won with first preferences, far outpacing his nearest competition in shadow home secretary Yvette Cooper and shadow health secretary Andy Burnham. Corbyn will also become a leader who now faces an outright mutiny from some of the party’s most important policy experts and rising stars. Despite his staggering win, which scrambles the very nature of postwar British politics, which created a revolution within Labour and which perhaps can begin a new epoch of British politics, the 66-year-old Corbyn must now wage a fight to consolidate his hold on the mechanisms of the party — from mollifying critics in the parliamentary caucus to reimaging the levers of policy review. 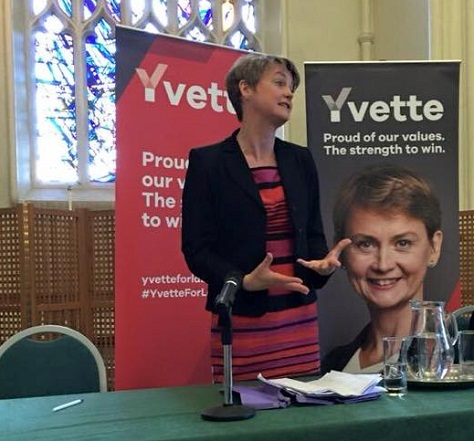 After a summer of Corbynmania, the late surge of shadow home secretary, Yvette Cooper, newly impassioned about economic policy and Syrian refugees, wasn’t enough to deny the leadership to an unlikely hero of the far left, a man who would make Tony Benn himself seem moderate and accommodating by contrast. 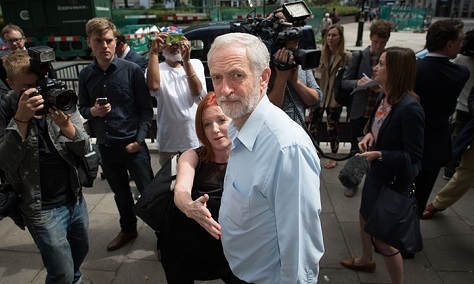 But as Corbyn takes the reins as the leader of Her Majesty’s Opposition, he should take to heart the hard-won lessons of those who held the office before him — stretching back to 1983, when Neil Kinnock first won the leadership. Voting in the contest to select the Labour Party’s new leader ended yesterday, and the winner will be announced tomorrow morning. Polls and oddsmakers agree that the victor will be Labour’s far-left summer darling, Jeremy Corbyn, whose unlikely rise spawned a movement of activism for a more full-throated opposition to Conservative austerity policies. Cooper probably will not win, it’s true. The Corbynmania phenomenon is deep and resilient, and it’s clear that Corbyn’s understated charms, ideological consistency and his willingness to contrast sharply against the governing Conservative Party have brought thousands of enthusiastic voters to his cause — none less than Harry Potter himself (or at least Daniel Radcliffe). But for all the real excitement that Corbyn’s leadership campaign has generated, Cooper is the only candidate who emerges from the leadership race looking like a potential prime minister, and unlike her opponents Andy Burnham and Liz Kendall, she will end the race with her reputation enhanced, especially after taking a bold stand last week on admitting more refugees to the United Kingdom. Cooper’s chances for the leadership, though slim, aren’t non-existent. If no candidate wins over 50% of the vote outright, Cooper will receive many of Kendall’s second-preference votes. 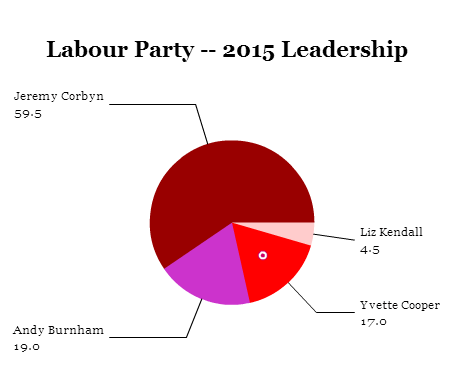 If Cooper edges out Burnham for second place, which now seems likely, she could clip Corbyn to the leadership if Burnham’s supporters disproportionately give their second preferences to Cooper (and not to Corbyn). Articulate and poised, Cooper was already a rising star as shadow home secretary, capably challenging Conservative home secretary Theresa May. An MP since the 1997 wave that brought Tony Blair and New Labour to power, she served as chief secretary to the treasury and as work and pensions secretary under former prime minister Gordon Brown. In particular, she won admiration across the political spectrum for her support of anti-stalking legislation and the creation of a new office for domestic violence. But Cooper spent much of the past five years overshadowed by her husband, the pugilistic shadow chancellor Ed Balls, who contested the leadership in 2010 and finished in third place (behind both Miliband brothers). When Balls unexpectedly lost his seat in the May 2015 general election, it was suddenly his wife whose leadership aspirations were on the fast track. Born in Scotland, 46-year-old Cooper has at least some claim to the case that she can win back supporters from the Scottish National Party (SNP), which now dominates Scottish politics. Photo credit to Stefan Rousseau/PA. Within hours of the Labour Party’s unexpectedly severe loss in the UK general election, its leader Ed Miliband had already resigned and within days, Miliband and his family were Ibiza-bound, the first step in an awkward transition back to the backbenches. It’s been a gloomy downfall for Ed, and critics have good reason to criticize his performance between 2010 and the May elections. But what the Labour leadership contest aptly demonstrates is that Miliband nailed one thing in his five years — bridging the gap between Labour’s two factions, its union-heavy left and metropolitan, pro-business right. Miliband did such a good job maintaining Labour unity for the past five years, in fact, that no one realized just how divided Labour’s two tribes have become. Those divisions are becoming all too clear in the emerging battle to succeed Miliband, and the surprise leader in the race is Jeremy Corbyn, a reluctant leadership contender first elected in 1983 to the British parliament, who’s now drawing the greatest support. With the support of Unite, the most muscular of the labor unions that back the UK’s chief center-left party, Corbyn has managed to capture the imagination of a wide swath of the Labour electorate — disaffected nationalists, anti-austerity youths and old-school socialists like Corbyn (pictured above) himself, who’s bucked his party’s leadership 534 times in a 32-year parliamentary career. He bitterly opposed prime minister Tony Blair’s decision to join the US invasion of Iraq in 2003, he opposes the Trident nuclear deterrent and he’s an unabashedly ‘retro’ socialist. He’s not entirely committed to opposing a ‘Brexit’ from the European Union in the planned 2017 referendum. 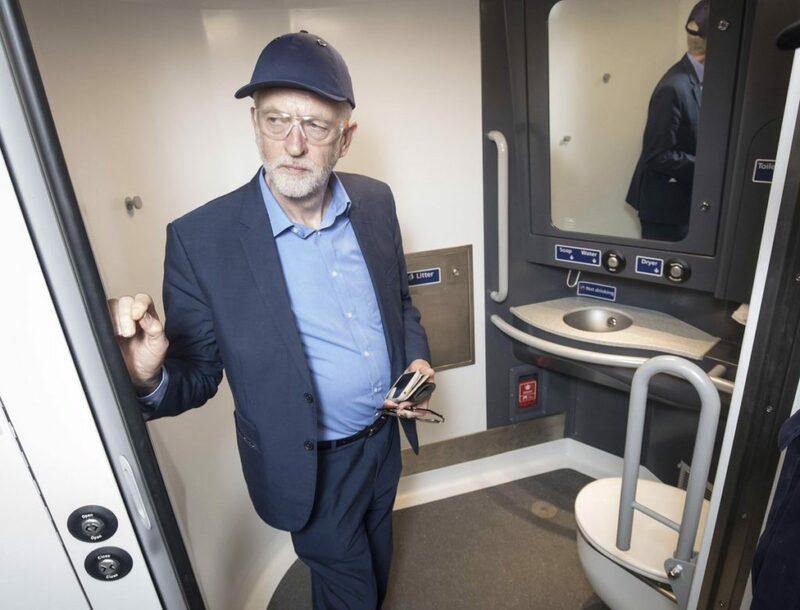 Corbyn wants to re-nationalize the UK’s train system and energy networks, and he wants to reaffirm public control over the health system. By way of example, Corbyn makes no apologies for firmly opposing the government’s bill last week that trims social welfare benefits. Interim Labour leader Harriet Harman instructed the party’s MPs to abstain — Corbyn and 47 other Labour MPs joined the Scottish Nationalist Party (SNP) in voting against the legislation. It’s no exaggeration to say that a Corbyn-led Labour Party would embrace much of the 1970s and 1980s leftism that Blair worked so hard to expunge in the leadup to his 1997 landslide victory. Corbyn’s rise is so stunning because he nearly missed the initial cut — he only barely achieved the 35 nominations from the party’s parliamentary caucus. He depended on support from legislators like Margaret Beckett, who believed that the far left deserved a voice in the campaign — if for no other reason than to show that the British far left is as weak in 2015 as in 2010 (when Diane Abbott placed last in the leadership contest) and 2007 (when John McDonnell failed to win enough nominations to advance against Gordon Brown, who won the leadership unopposed). Beckett, a former interim party leader and foreign secretary, now says she was a ‘moron’ to do so. That’s because Corbyn, according to some polls, now holds a lead in the fight for Labour’s future. A July 17-21 YouGov/Times poll shows Corbyn leading with 43% of the vote — just 26% back shadow health secretary Andy Burnham (who held a series of ministerial profiles between 2007 and 2010), 20% back shadow home secretary Yvette Cooper (and the wife of former shadow chancellor Ed Balls and a former chief secretary to the treasury) and 11% back Liz Kendall, a shadow minister for care and older people first elected in 2010. More alarming to the party establishment, when the choices are whittled down to the two leading candidates, Corbyn leads Burnham by a margin of 47% to 53%. 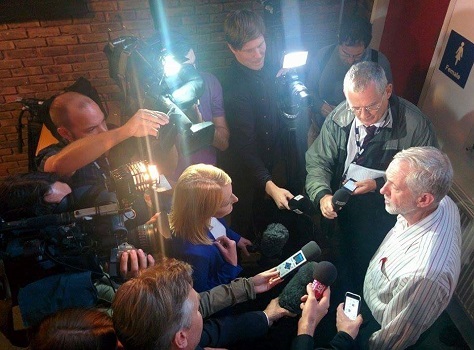 Ballots will not even be sent to Labour members until August 14, and the voting will continue through September 10 — there’s a lot of time left in the race, and it’s not clear Corbyn can sustain enthusiasm in the face of what will assuredly be a massive opposition to a Corbyn leadership. But how, exactly, did a 66-year-old socialist become the pacesetter in Labour’s leadership contest? Part of his rise is attributable to simple arithmetic. It was literally just three days ago that rising star Chuka Umunna entered the race to become the Labour Party’s next leader. However since the night of our defeat last week I have been subject to the added level of pressure that comes with being a leadership candidate. I have not found it to be a comfortable experience. One can imagine what running for leader can be like, understand its demands and the attention but nothing compares to actually doing it and the impact on the rest of one’s life. It’s surprising that Umunna was so taken aback by the media’s role, especially after the punishing treatment to which Labour’s former leader, Ed Miliband, was subjected in over four years as British opposition leader. No matter anyone says, Umunna will find it very difficult to make a leadership bid in the future after bottling the opportunity now — especially after oddsmakers made him the sudden frontrunner in the race to replace Miliband. Though Umunna started off his career as a Labour MP in 2010 with ties to the left wing of the party, he slowly moved to the center in his role as shadow business secretary, and he emerged as a favorite of New Labour figures, including former prime minister Tony Blair and former business secretary Peter Mandelson. Though the chasm between centrist ‘modernizers’ and the more leftist wing of the party is narrower than the narrative of the past week of post-election post-mortems claim, Umunna was clearly capable of telescoping to Labour supporters and others that he would push, as leader, to bring the part back into the middle of British politics. As the son of a Nigerian father and a British-Irish mother, Umunna would have represented a growing class of British citizens with multi-racial backgrounds. He certainly has a compelling story and uniquely talented communications skills. All of which means his withdrawal is bad news for Labour. Even if you take Umunna at his word that the unexpected media glare forced him to step aside as putative frontrunner to lead Labour, it’s still incredibly odd. It’s natural to wonder whether there’s more to this story. A former DJ, Umunna received some negative publicity back in 2013 after he once posted on a website forum asking for recommendations for London nightclubs not ‘full of trash.’ It’s worth questioning if there are additional, more damning, revelations from Umunna’s past that could have made him less appealing. 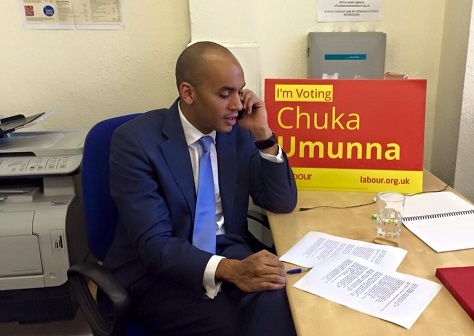 As a London native with a reputation as something of a slick operator, Umunna’s weakness was that he might have struggled to connect with working-class voters in the much poorer north. Similar revelations would have crippled Umunna’s ability to do so, potentially pushing traditional Labour voters to the eurosceptic, anti-immigrant United Kingdom Independence Party (UKIP), which placed second in many constituencies in northern England in the May 7 general election. With decisions by veteran Dan Jarvis and former foreign secretary David Miliband not the pursue the leadership, two experienced candidates are now set to dominate the race — shadow health secretary Andy Burnham and shadow home secretary Yvette Cooper. Both have ministerial experience, and both have increased their standing while in opposition, Burnham by challenging moves by the Conservative Party to privatize certain elements of the National Health Service and Cooper by championing women’s rights. Nevertheless, both have ties to former prime minister Gordon Brown that have left moderates somewhat uncomfortable. 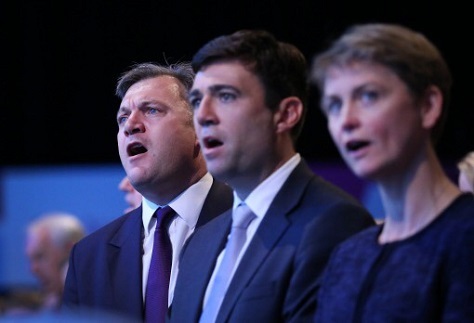 Cooper’s husband, who shockingly lost his constituency last week, is former shadow chancellor Ed Balls (pictured above, left, with Burnham, center, and Cooper, right), a longtime economic adviser to Brown. I’m not running for the leadership of the Labour Party in 2015. 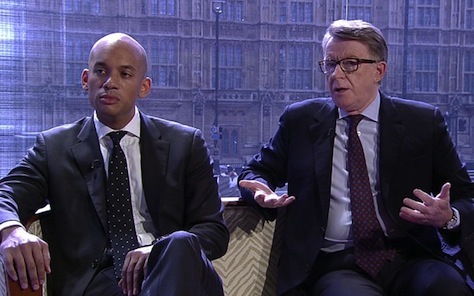 But it seems like hugging Peter Mandelson — figuratively and nearly literally — on the eve of the leadership campaign is an odd step for Chuka Umunna (pictured above, left, with Mandelson), the shadow business secretary and the youngest of several members of the ‘next generation’ of Labour’s most impressive rising stars. First, we spoke to our core voters but not to aspirational, middle-class ones. We talked about the bottom and top of society, about the minimum wage and zero-hour contracts, about mansions and non-doms. But we had too little to say to the majority of people in the middle… [and] we talked too little about those creating wealth and doing the right thing. Ed Miliband’s resignation on Friday, in the wake of Labour’s most disappointing election result in a quarter-century, has opened the way not only for a robust leadership contest, but for a free-for-all of second-guessing about Miliband’s vision for Labour in the year leading up to last week’s election. Liz Kendall, the 43-year-old shadow minister for care and older people, was the first to announce her candidacy for the leadership; shadow justice minister David Jarvis, a decorated veteran, said he would pass on the race. Others, including shadow health minister Andy Burnham, shadow home secretary Yvette Cooper, shadow education secretary Tristam Hunt are likely to join Kendall and Umunna in the race. Former foreign secretary David Miliband, whose brother narrowly defeated him for the Labour leadership in 2010, is set to make remarks Monday about his future in New York, where he serves as the president of the International Rescue Committee. Should he decide to return to London to vie for the Labour leadership, it could upend the race — many Britons believe Labour chose the wrong Miliband brother five years ago. Unsurprisingly, the loudest critics have been the architects of the ‘New Labour’ movement that propelled former prime minister Tony Blair to power in 1997, including Blair himself. They’re right to note that Blair is still the only Labour leader to win a majority since 1974, and there’s a strong argument that they are also correct that Miliband could have made a more compelling case to the British middle class, especially outside of London. Before he got bogged down with British support for the US invasion and occupation of Iraq in 2003, Blair was widely popular throughout the United Kingdom, positioning Labour squarely in the center of British politics and consigning the Conservative Party to hopeless minority status for the better part of a decade. But even if Blair and Mandelson are right that turning back the clock to the 1970s or 1992 can’t provide Labour the way forward in 2015, it’s equally true that Umunna and the other Labour leadership contenders can’t simply argue that it’s enough to turn the clock back to 1997. 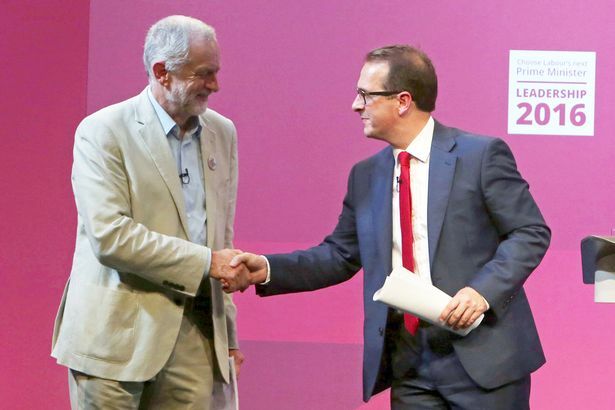 It’s been a massively disappointing night for the Labour Party. English voters didn’t swing en masse to Ed Miliband. It certainly seems like southern voters stuck with the Conservatives and northern voters turned to the United Kingdom Independence Party (UKIP). 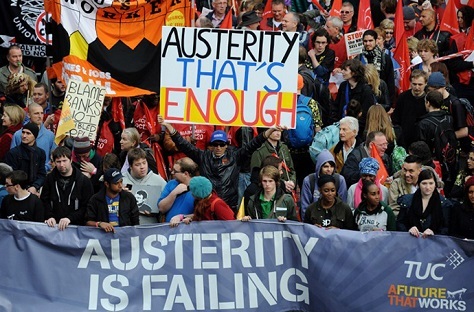 Leftist voters turned to the Green Party, which seems set to triple its national support. Scottish voters abandoned Labour outright, swinging massively to the pro-independence Scottish National Party (SNP). It’s the kind of wipeout that will demand Miliband’s resignation — even before he’s delivered an address and even before the British media has declared a winner. It may not happen tonight, it may not happen tomorrow, but it will happen soon. Labour’s top officials will wake up on May 8 trying to figure out just how in the span of 18 months, the Tories whittled down a 10-point Labour lead in polls. 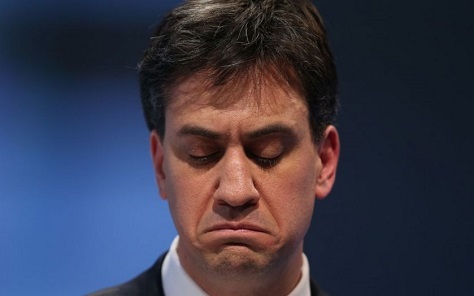 Despite only tepid GDP growth and five years of budget cuts, voters failed to warm to Ed Miliband’s leadership. In the span of months, Labour saw ‘fortress Scotland’ obliterated by the SNP. In the span of days, Labour saw a plausible, if narrow, lead nationally evaporate. Photo credit to AFP / Carl Court. 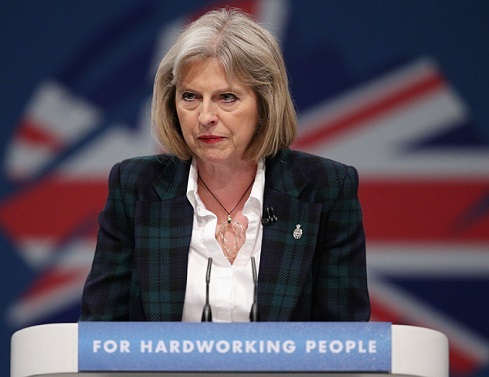 The one thing that both the Conservatives and Labour agree on in the 2015 election is that deficit reduction will be a priority for the United Kingdom’s next government. To that end, when you put aside the sideshow of the proposed European Union referendum, the red lines and pledges about the National Health Service, and the vagaries of coalition politics with Scottish nationalists or Northern Irish unionists, the central question of the British general election is how to bring the budget deficit down from around 5% of GDP today to 3% or less by the end of the next government’s scheduled term in 2020. Imagine it is May 2016, and Scottish voters are going to the polls to select the members of its regional parliament at Holyrood. You’re Scottish first minister Nicola Sturgeon, and you’re asking voters to deliver a third consecutive term to the ruling Scottish National Party (SNP), the pro-independence, social democratic party that’s controlled Scottish government since 2007. Twenty-three years ago, Neil Kinnock was expected to defeat a tired Conservative Party, reeling after three full terms in government that barely seemed capable of limping into its fourth. Instead, Tory prime minister John Major won the 1992 election, against all expectations, thwarting Kinnock’s second chance at restoring Labour to government. Kinnock stepped aside as leader, and his role in Labour’s revitalization was quickly marginalized with the election of Tony Blair as Labour leader in 1994 and Blair’s landslide ‘New Labour’ victories in 1997, 2001 and 2005. But when Blair’s successor, Gordon Brown, lost the 2010 election, the ‘New Labour’ label had become tired and somewhat toxic. Moderate voters blamed Brown for the excesses of the financial crisis and, more fundamentally, opposed Blair’s involvement in the US invasion of Iraq and the growth of what critics called a widening police state across Great Britain. Moreover, progressives and the labour union activists that had historically been at the heart of Labour wanted a new approach that recovered some of the social democratic populism with which Labour was once synonymous. 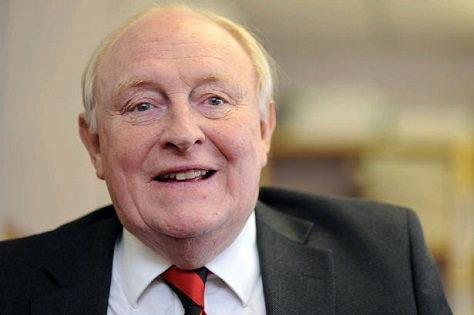 It was no shock, then, when Neil Kinnock emerged as a leading adviser to the lesser-known Ed Miliband in his attempt to win the Labour leadership crown in 2010. RELATED: Would David Miliband be doing better than Ed? Miliband, of course, famously succeeded, defeating his own brother, former foreign minister David Miliband, on the strength of his support from labour unions and activist groups, which represented one of three equal constituencies in the Labour leadership contest (Ed lost the other two among Westminster MPs and among regular Labour party members). From the start of the Ed Miliband era, then, Kinnock has been a close informal adviser and mentor to the young Labour leader, marking something of a rehabilitation for a former Labour leader who himself came just shy of becoming prime minister. Kinnock’s daughter-in-law is Danish Social Democratic Party leader Helle Thorning-Schmidt, since October 2011 the prime minister of Denmark. Her husband, Stephen Kinnock, is widely favored to win election to the House of Commons this week as a Labour MP for the Welsh constituency of Aberavon. He’s one of the most charismatic characters in British politics, and it’s difficult to imagine much of a future for the eurosceptic United Kingdom Independence Party (UKIP) with him leading it. 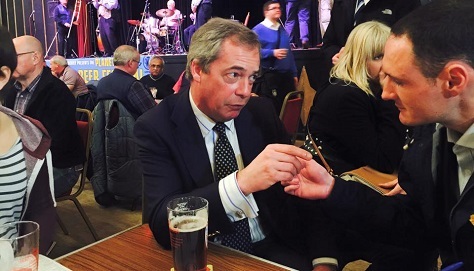 Nevertheless, Nigel Farage, the investment-banker-turned-beer-swilling-bloke-next-door, has pledged to stand down as UKIP’s leader if he fails to win election to the House of Commons on May 7 from the constituency of South Thanet. At best, some polls give Farage a slight lead; many other polls, however, suggest Farage is locked in a three-way fight with his Conservative and Labour challengers. The race to win South Thanet, a constituency in the southeastern corner of England in Kent, has kept the UKIP leader focused on winning his own high-stakes contest instead of zipping throughout the country to bolster the party’s chances nationally. Farage, who is also a member of the European Parliament, is unlikely to fade away, even if he loses. He presumably remain a colorful presence in British and European politics, especially if prime minister David Cameron wins a second term and holds a referendum on the country’s membership in the European Union in 2017. But Farage’s loss would highlight the shrinking fortunes of UKIP, just a year after it won more votes in the European parliamentary elections than any other party as British voters lodged protest votes over growing EU influence. Farage, in the afterglow of his unprecedented victory, hoped to ride a populist wave into 2015 on a platform that questions the value of the country’s membership in the European Union, restricts growing immigration to the United Kingdom, and rebalances a constitutional structure that’s left England, as a region, out of the devolution trend that’s given Scotland, Wales and Northern Ireland more regional control.